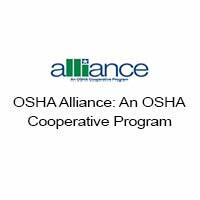 Administers all aspects of the Alliance activities, including the development of hazard communication training and other tools that will be developed for use by OSHA and SCHC in improving hazard communication. 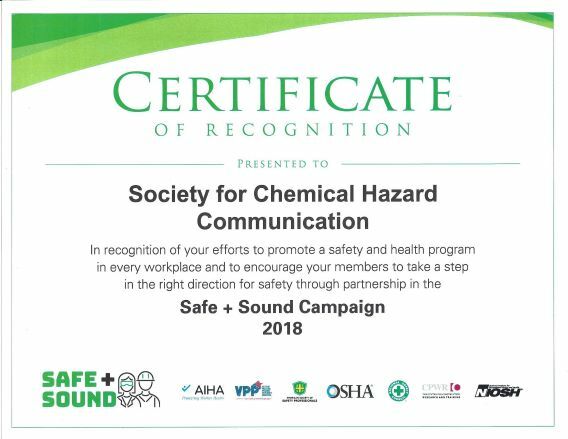 SCHC recognized by OSHA for its partnership in Safe + Sound Week - August 13-19, 2018 - Read more. 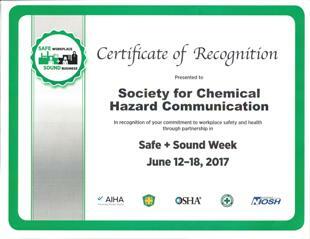 SCHC recognized by OSHA for its partnership in the inaugural Safe + Sound Week - June 12-18, 2017 - Read more. Attention SCHC HazCom Professionals -- We want to know what sheets you need to help you with GHS! To submit ideas, please contact the Board Liaison above. The information contained in these sheets is believed to accurately represent provisions of U.S. regulations, consensus standards, and current GHS requirements. However, SCHC cannot guarantee the accuracy or completeness of this information. Users are responsible for determining the suitability and appropriateness of these materials for any particular application. These sheets are developed through OSHA's Alliance Program for informational purposes only. They do not necessarily reflect the official views of OSHA or the U.S. Department of Labor.